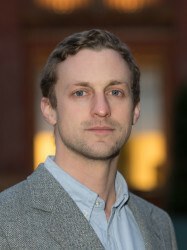 Dr Connor Myant is a Lecturer at Imperial College London in the Dyson School of Design Engineering. His general research interests include: developing design processes for Additive Manufacturing, Bio Printing, digital manufacture, mechanical and product design, and Tribology. ***3D Biosynthetic Printing project funded as part of the first Imperial's Excellence Fund for Frontier Research. We have received highly-competitive research funding in the first ever round of Imperial's new Excellence Fund for Frontier Research (EFFR). Our project in collaboration with John Heap (Department of Life Sciences) and Guy-Bart Stan (Control Engineering Synthetic Biology) group will develop a novel technology for 3D printing with synthetic biology. There are always positions available for excellent prospective PhD students and postdoctoral staff. Please contact Dr Myant directly if you wish to apply for a position in the area of Additive Manufacture Design. If you are a highly motivated and dynamic post-doc with experience in design for AM or development of AM systems and you are looking to join, please email us with your CV. If you would like to apply for a PostDoctoral Fellowship to work in my group, this list of PostDoctoral Fellowships might be useful. In particular, if you want to conduct your own research, which is aligned with the core research work in my group, I can sponsor you for an Imperial College Research Fellowship for 3 years. Imperial College's prestigious Research Fellowships financially supports the brightest and very best early career researchers from across the world, providing a level of commitment and support that is rare from a UK university. Information about the Imperial College PhD Scholarship scheme is available here. Additionally, information about all Scholarship Schemes (including a scholarships search tool) is available here. Furthermore, Ph.D. studentships in the Dyson School of Design Engineering are advertised here. For general information on the tuition fees and cost of living in London, please read this link. For other sources of funding you can also look at here and here (fees and financial help). Finally, there are also other PhD scholarship schemes such as for example the Crick PhD Programme. Dr Myant works in the Robotics and Manufacturing research theme within the Dyson School of Design Engineering. He co-leads the Imperial College Additive Manufacturing Network; and is also a committee member for the Institute of Molecular Science and Engineering. He is currently course leader for the 2nd year Mechanics for Design Engineers (M4DE) module on the Design Engineering Masters Degree in the Dyson School of Design Engineering. As part of his role at Imperial he is also a 2nd year coordinator for the Global Innovation Design (GID) programme between Imperial College and the Royal College of Art. Prior to starting his lectureship Dr Myant worked in the ICL Tribology Group, where he held a Junior Research Fellowship studying synovial fluid lubrication of artificial articular joints. Dr Myant gained his PhD from imperial College London in 2010 on the development of experimental techniques for investigating lubricated, compliant, bearing contacts. Dr Myant graduated from the University of Exeter in 2006 with a Bachelors (BEng) in Mechanical Engineering.